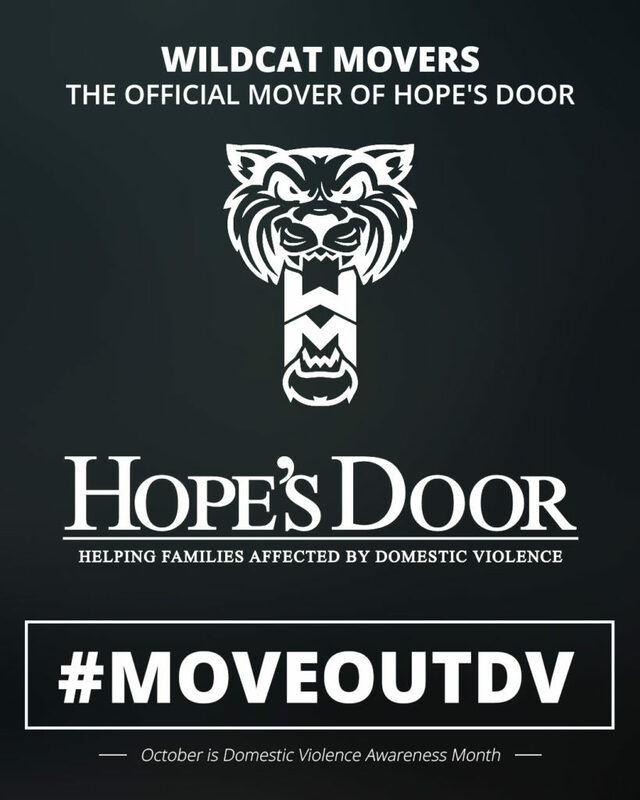 Wildcat Movers volunteers every month to assist Hope’s Door New Beginning Center by moving their clients that have been victims of Domestic Violence completely FREE of charge. Wildcat Movers – Move Out Domestic Violence. Your patronage allows Wildcat Movers to assist victims of domestic violence. Wildcat Movers allocates a certain number of hours each month based on our company’s sells. The more we sell the more we can help. Mission: Offer intervention and prevention services to individuals and families affected by intimate partner and family violence and to provide education programs that enhance the community’s capacity to respond. Their central office is located in Plano at 860 F Ave, Plano, TX 75074.